What office chair should I buy? Welcome to our eight part blog series which I hope will help you decide which office chair is the right fit for you! In this blog I will discuss the key features that you should keep in mind when selecting an office chair. In the following seven blogs I will recommend to you the seven best office chairs on the market today. There are many keys feature to keep in mind when selecting an office chair. An office chair can be a large investment so it’s important that you get it right!! Can the chair be adjusted? It is really key that the chair you select can be adjustable – be it adjustable arms, tilt, lumbar, height. Some basic chairs will offer adjustable height and arms which is a good start. 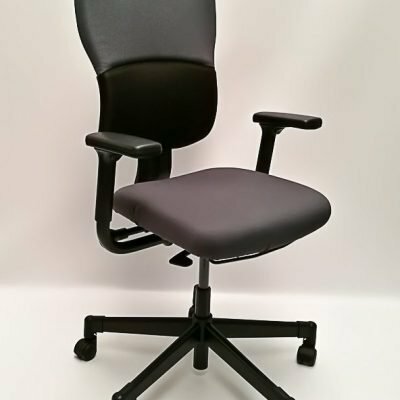 Some more “upmarket” chairs will offer tilt tension control, adjustable lumbar support etc. It is imperative that you are able to change height and arms at the very least. Check before you buy! Does it offer good back support? 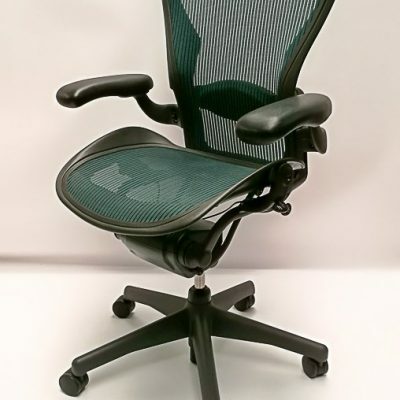 If you’re in a job that requires you to be seated for extended periods of time it is vitally important the chair offers sufficient lower back support. Leaning forward to type on a computer can add strain to the lower back so it’s recommended that you invest in a chair that supplies good lumbar support that is adjustable too. Does the fabric work for me and the environment I am in? You should select a chair you find to be pleasing to the eye. However, that is not all you should keep in mind. Have you ever sat on a chair that after a few minutes gets hot? You need to select a breathable fabric that provides you with comfort but is also long wearing. Fixed chair are fine it you don’t intend to move very much. Fixed chairs are more suited to a waiting room. In an office space you want a chair that will adapt to your needs whether you need to reach to a drawer or turn around to chat with a colleague. The above is not an exhaustive list only the main points I feel you should keep in mind when purchasing an office chair.